Real Aikido is a martial art developed by Master Ljubomir Vračarević (1947-2013) , a self-defence instructor from Serbia. It is a mixture of aikido, judo and jujutsu techniques, with some modifications made by Vračarević. In August 2002 the United States Martial Arts Association elected Vracarevic to its Hall of Fame and awarded him the title Grandmaster, black belt 10th dan, Sōke. The Real Aikido defense system includes unarmed techniques, as well as defense against weapons such as knife, pistol, etc. It includes of aikido, judo and jujutsu, techniques simplified so that they can be easily taught in security and self-defense courses. The curriculum itself is mainly based on a general aikido curriculum, with a kyu/dan system of grading. Apart from grappling, self-defense against strikes also includes evasion and some blocking techniques. From 2005 Real Aikido was included in elementary school curriculum in Serbia as an elective subject. Hi Sanja, thanks for accepting this interview with us. 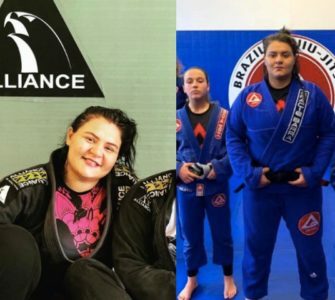 Can you tell the BJJ community more about yourself? How did you first start training Real Aikido? My first step in this noble art I made when I wass less than 4 years old. From the very beginning it was clear that I would walk in my father’s footsteps. Originally, it was just fun and games and later on I seriously started entering into the core of Real Aikido. I could not imagine my life without it now. From the beginning I followed my father everywhere, I watched his every move, every technique, the way that he talked to paople, and pedagogical approaches to each participant, I believe that it is my great fortune that will help me in the future work. 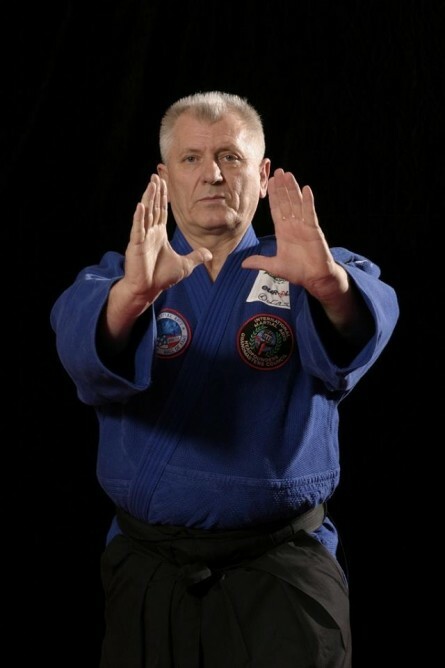 Ljubomir Vračarević (born in Varazdin May 6, 1947 – Belgrade November 18, 2013), is the master and creator Serbian martial arts Aikido black belt 10th Dan Soke. Respecting the achievements of Japanese artists, he built his own style with the mentality, the constitution and the tradition of the people from his region. He workked a lot withthe police and special units of the army, and they encouraged him to develop his own style in the direction of practical applications, and constantly upgrading. Master Vračarević built his international reputation by training police, military, security guards, bodyguards and statesmen. During his career he held more than 250 seminars worldwide. Through his real aikido clubs so far he’s had more than 130 000 students. He paid great attention to the work with children from 5 to 12 years. He is the author of numerous books about real Aikido and self-defense. Vracarevic is an instructor in IBSSA, a professor at the School of Sport in Belgrade, and has been a regular member of the Russian Academy of Sciences and the International Academy for National Security. He also holds other international awards: Technical Director of the Russian Association of Real Aikido, a member of the Euro-Asian Kjokušinkai Committee, Honorary President of the Wushu Federation in Šenuang – China. International Academy of National Security of Russia, awarded him the rank of General. In the U.S. in 2002 he was elected a member of the United States Martial Arts Hall of Fame. 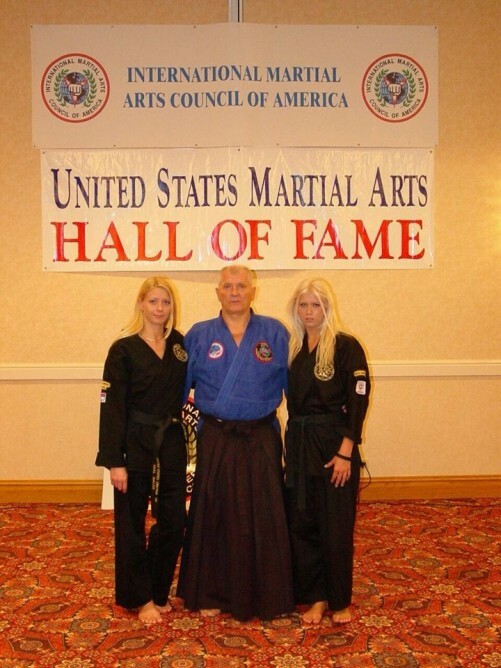 The ceremony was in the United States Martial Arts Hall of Fame on 9th June 2003. Ljubomir Vracarevic was awarded the highest rank in the martial arts: Black Belt 10th Dan Soke as the creator of the style Real Aikido. Aikido was included in the international classification of martial arts as authentic Serbian skills. Vracarevic in 2007 founded in Belgrade the European Hall of Fame in martial arts and sports. Can you tell us more about the self defense aspects of Real Aikido? Real Aikido is an authentic martial art of self-defense, highly efficient and applicable to everyday, for real situations. 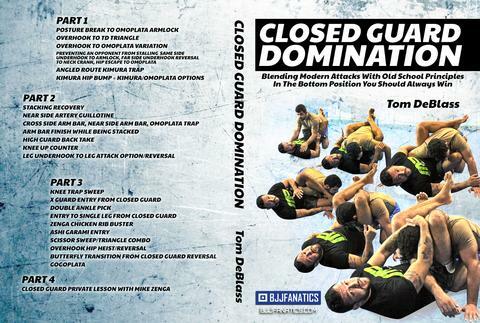 It’s a defensive, extremely flexible system of defensive techniques, whose main characteristics are: speed and response time, continuity of a technique and complete final control using a specific lever. The techniques are flexible and enable individuals to adapt their performance to their body constitution and the requirements of the current situation, resulting in maximum efficiency of the application of real aikido. Considering that this style is very flexible, it can easily be adapted and followed up with other techniques. comes to final inspection RA has its own applicable finals but also in the final part can follow up with Ground floors BJJ technique. Are there any competitions organised in Real Aikido? Are there any sparrings? Real aikido is a self-defense martial art. In RA there is no sparring and it is not a competitive sport. 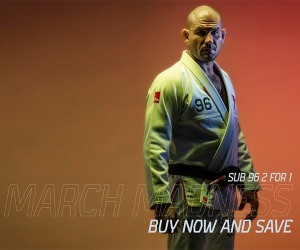 What is your opinion on Brazilian (Gracie) Jiu-Jitsu? I truly appreciate and respect the work of the Gracie brothers as well as their success in tournaments. I think their style is useful and has real value and that their technique in a real situation is very applicable, especially on the ground. 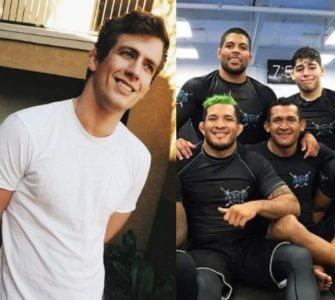 Good Jiu Jitsu practitioner can leverage their knowledge in real life and if they respond in a timely manner, they can certainly defend against multiple attackers. Can you tell us about the growth of Real Aikido worldwide? Real Aikido is trained in around 30 countries worldwide. The most widespread is in the countries of the former Soviet Union and in other countries (Russia, Kazakhstan, Uzbekistan,Estonia,Ukraine,Azerbejdzan,Belorussia,Greece,Slovenia, Macedonia,Italy,France,Libya,America,Republika Srpska, Bosnia, Israel, etc …). The Federation of Real Aikido is a well-organized system that works and includes all the clubs in the world. All coaches at the world center of RA are well trained craftsmen who can work with children and adults through specially designed and customized programs through play and games `to`-mastery for children aged 4-12years and `From beginner to master` program for the older members. How do you see RA growing in the next few years? Master Ljubomir Vracarevic developed this style for 45 years. We have a well-trodden path and our duty is to continue in that path. We being the master’s closest disciples, had the privilege to learn directly from him and we have the most accurate information from the source of RA and insight on any technical changes, each new detail … We will use all the knowledge gained and try to justify the trust of our master Ljuba. In the future, there are many plans to be realized, one of the current news in which I am extremely proud is that real aikido has entered the army of Serbia and the techniques of the masters Vračarević are applied there. special form of martial arts. Aikido slowly enters in schools where they will both children and teachers have the opportunity to learn self-defense. Our school of bodyguards working for many years, this year we plan to put into operation a large number of people who will be willing to work in different spheres. What do you think about combining RA and BJJ skills? I have a very high opinion of both skills. I find it very effective and important to develop individuality, security and response time to different situations. I believe that every person should learn some combat sport regardless of style. Sport has a positive influence on the health and affects your mindset and develops self-confidence, team spirit and helps improve social skills. What’s next for you Sanja? 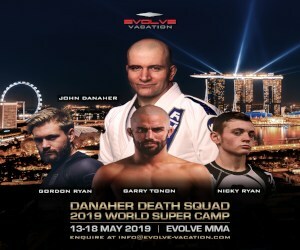 This year, in addition to numerous seminars at home and abroad that we hold every month, we plan to show and present our skills at numerous martial arts events. We will continue our work with all of our clubs, working with bodyguards, military and schools. Priority is set on getting our children to train, play sports and socialize to get them off the streets and provide them with a healthy environment. 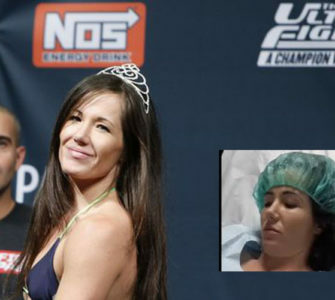 Great greeted by all fans of martial arts, Sanja Vracarevic.